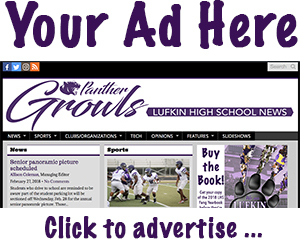 Most tickets for a NFL game cost an arm and a leg, but the Lufkin Band Boosters are providing a chance to win four of them. Tickets for a chance to win four seats at the Dallas Cowboys’ Dec. 9 game against the Philadelphia Eagles are $20 apiece. Although a student cannot purchase a ticket during the school day, everybody will have the opportunity to buy one at the homecoming game on Oct. 5. The contributions go toward the band’s dues. 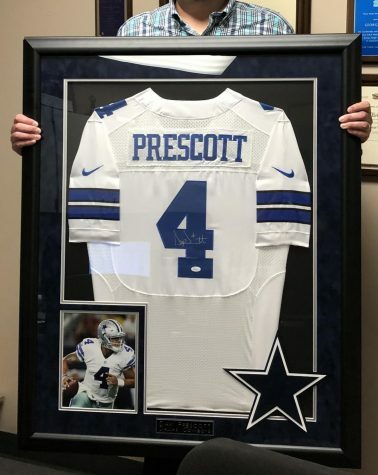 In addition to the tickets to the NFL game, Little said, the drawing winner gets a parking pass, a $250 Visa gift card and an authenticated, framed and signed Dallas Cowboy quarterback Dak Prescott jersey. Ticket sales will stop Oct. 5.